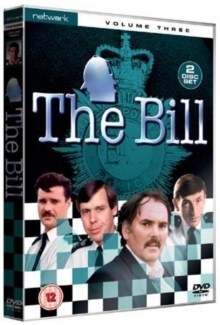 13 episodes from series 4 of the popular police drama.The episodes feature such fan favourites as Sgt. Cryer (Eric Richard), W.P.C. Ackland (Trudie Goodwin), Det. Sgt. Ted Roach (Tony Scannell) and D.I. Burnside (Christopher Ellison). Episodes comprise: 'The Quick and the Dead', 'Witness', 'Here We Go Loopy Lou', 'Stop and Search', 'Spook Stuff', 'Evacuation', 'Personal Imports', 'Paper Chase', 'Intruder', 'Conflict', 'Duplicates', 'Snout' and 'Old Habits'.